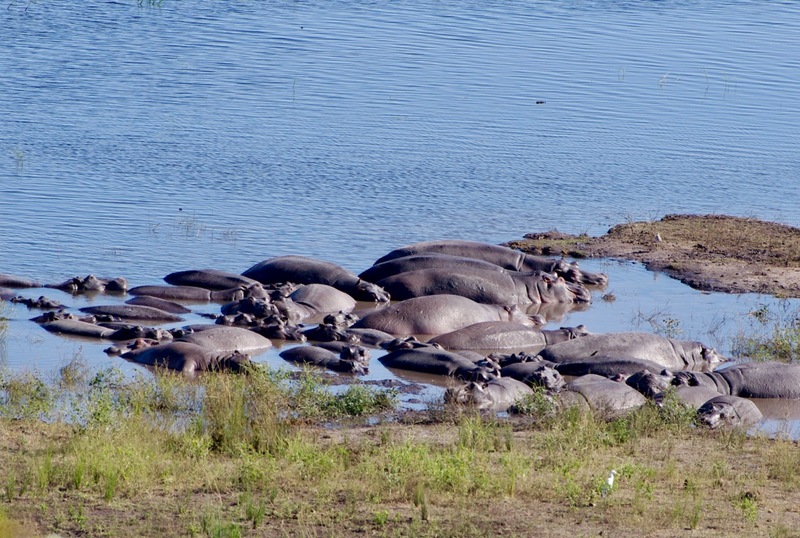 Here is a fourth set (previously misplaced) from my 2012 trip to Zimbabwe, Botswana and Zambia in south central Africa. 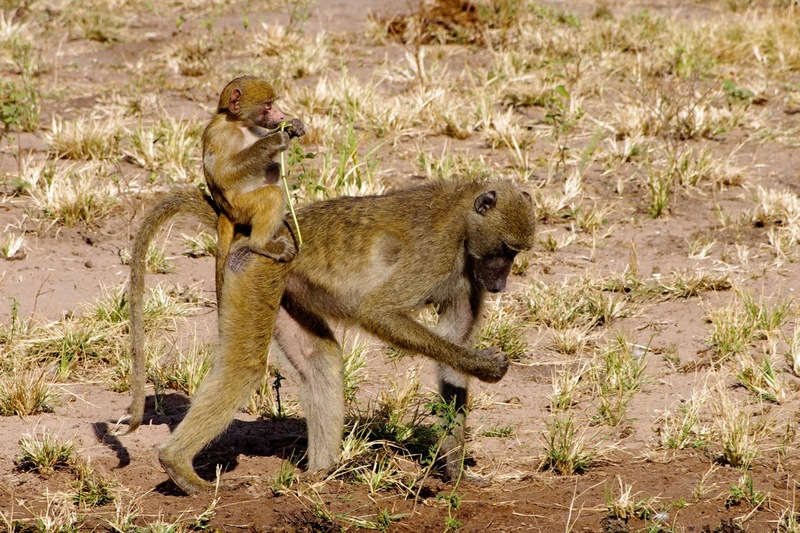 This female yellow baboon (Papio cyanocephalus) provides a comfortable and secure seat for “Junior” while she forages. I don’t know whether she provided the shoot that Junior finds so intriguing. This a male of the same species. 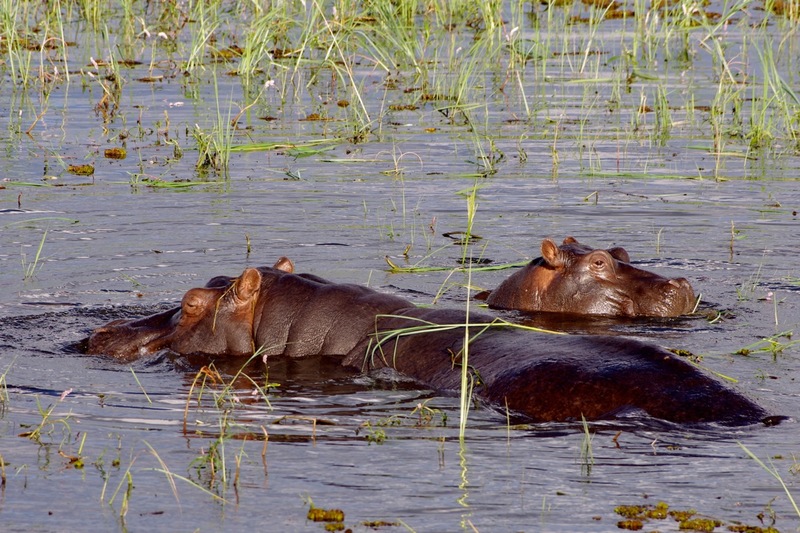 Obviously, here are some hippopotami (Hippopotamus amphibius). 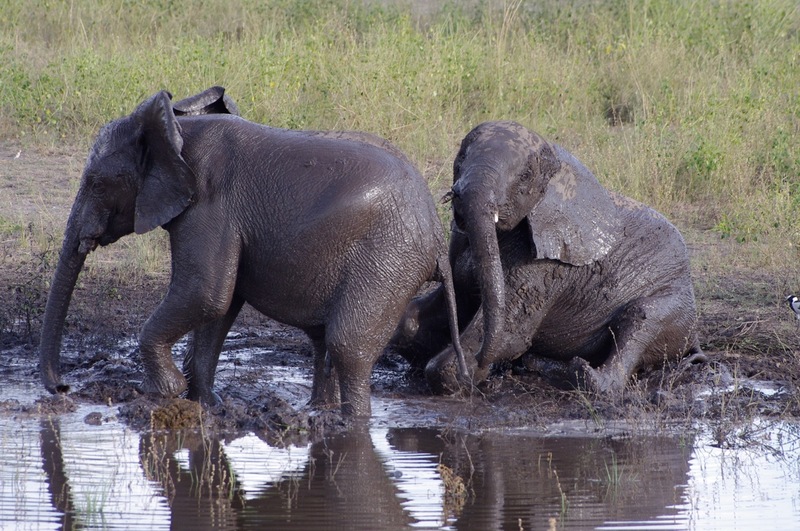 And a couple of young elephants apparently having a good deal of fun in some mud. 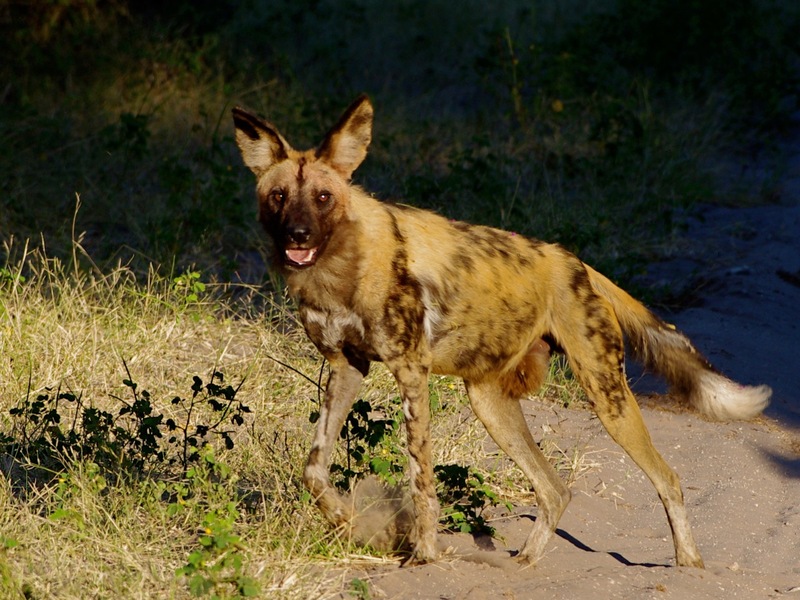 We were excited to get even a brief sighting of a Cape hunting dog (Lycaeon rictus). Interesting that it is not included in the genus Canis. 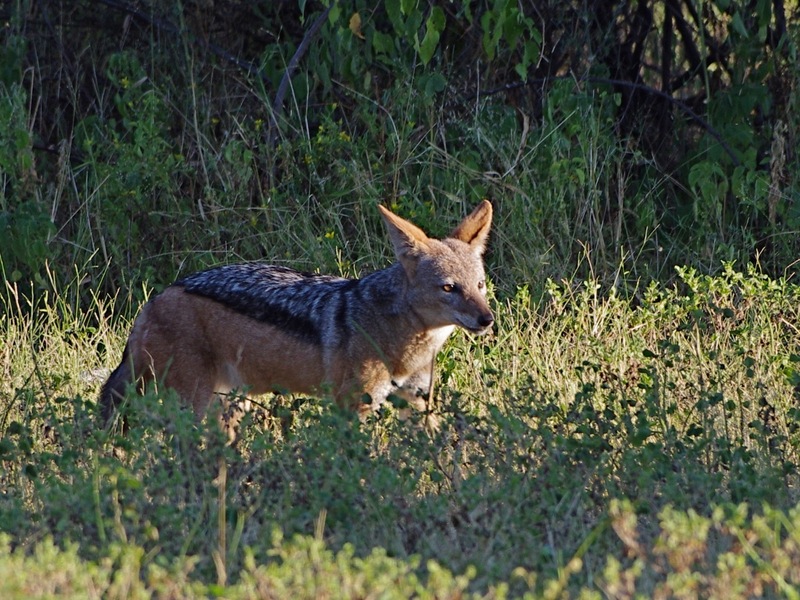 And yet the black-backed jackal (Canis mesomelas) is lumped with wolves and domestic dogs. 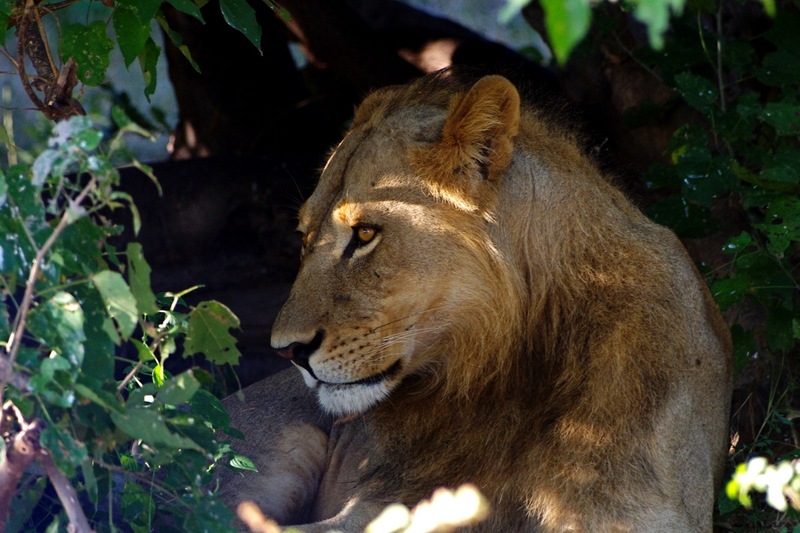 This is a solitary young male lion (Panthera leo), probably ejected from his natal pride and hanging out alone unless/until he gets a shot at taking over a pride. 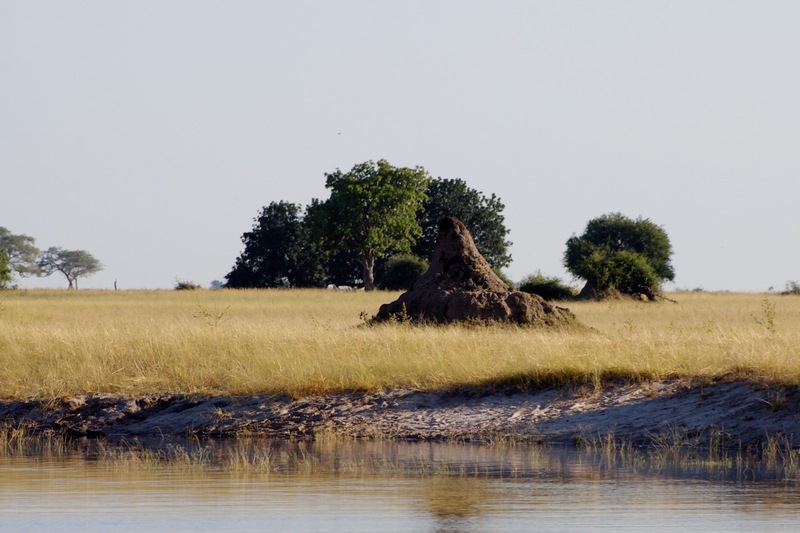 Termite mounds, built by managers of the genus Macrotermes, are a ubiquitous feature of African landscapes. 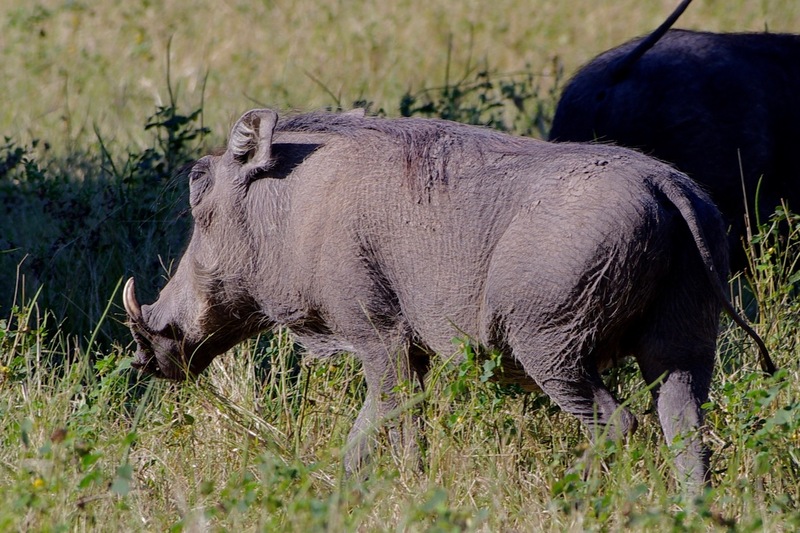 Here is a common warthog (Phacochaerus africanus). This entry was written by whyevolutionistrue and posted on December 9, 2018 at 7:45 am and filed under insects, mammals, photography, primates. Bookmark the permalink. Follow any comments here with the RSS feed for this post. Both comments and trackbacks are currently closed. 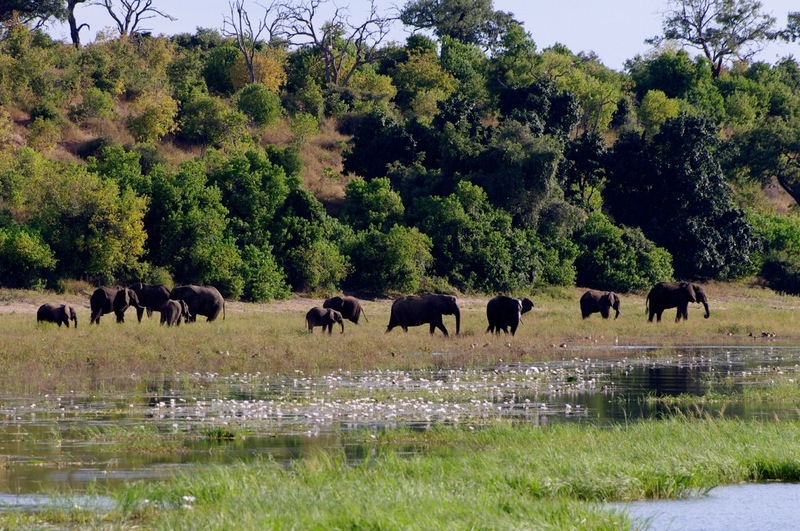 Why isn’t Africa the most popular tourist destination in the world? Probably because then it wouldn’t be. 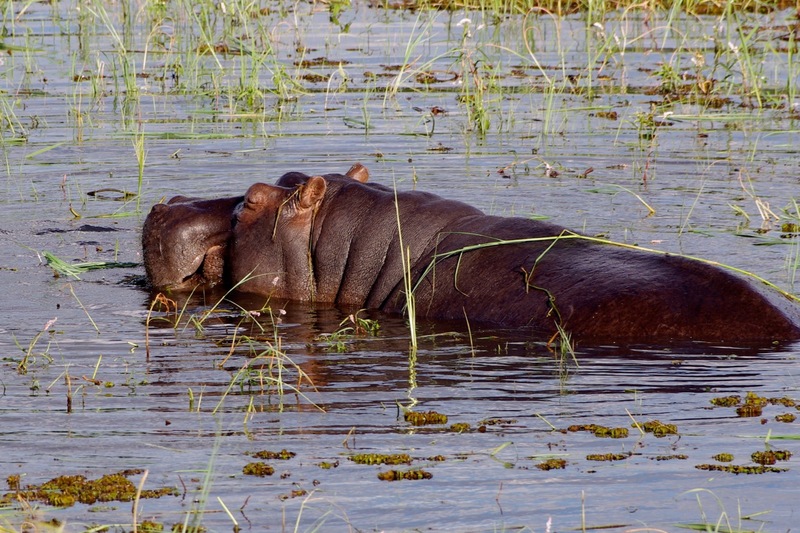 Hippos do know how to relax. Really exciting photos! The black-backed jackal is an animal I am not familiar with. The fur on top (black fur) looks like a rug sitting on his back. It looks like the black fur is denser and longer than the tan part. Thank you for sharing such a wonderful assortment. A nice looking doggie too! 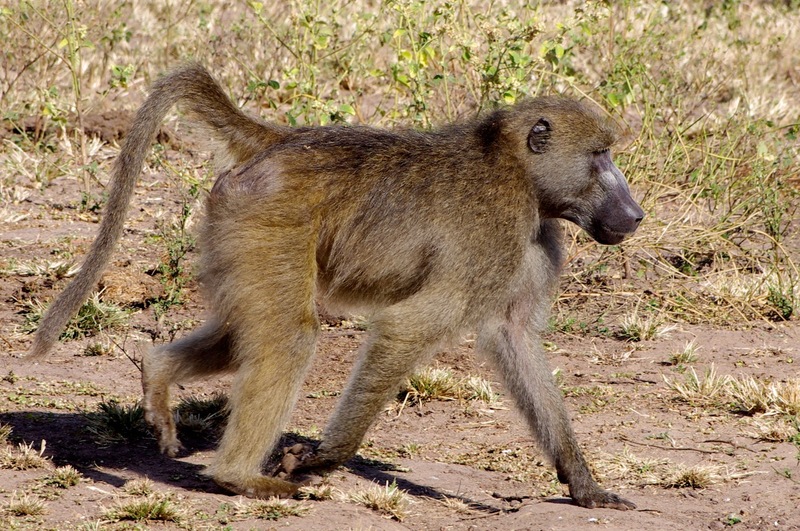 Allow me to point a small typo: the latin name of the baboon species is “cynocephalus”, for “dog headed”. “Cyanocephalus” could mean “blue headed”, which would be more apt to describe male mandrills (Mandrillus sphinx). Thanks for catching that. Not sure whether I’m responsible or it was my spell checker. This was a very interesting typo – learned something for each word. Great stuff! And what an adventure that was. Thank you for sharing. On a visit to Kruger National Park some years ago, we observed from our car a pack of hunting dogs tailing giraffe. They would have been 500m away. Ahead of the dogs was a large pride of lions also watching the giraffe. Suddenly the Dogs, having spotted the lions, came to a halt, had a chat among themselves, then trotted over to the road, and using the cars as cover circumvented the lions before continuing with their tailing of the giraffe.